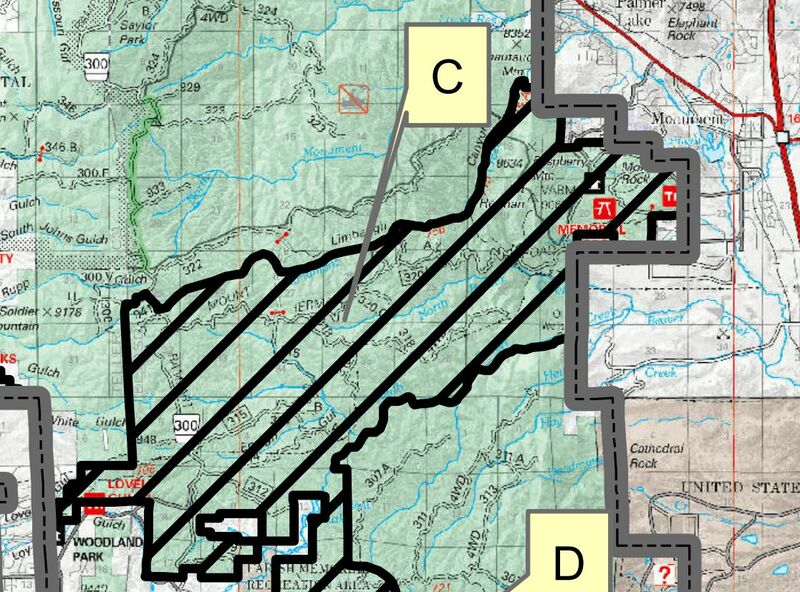 Pursuant to Title16, United States Code, Section 551, 36 C.F.R., Section 261.50(a), the following act is prohibited on National Forest System lands within the following areas of South Platte, South Park and Pikes Peak Ranger Districts of the Pike National Forest, Douglas, El Paso, Jefferson, Park and Teller Counties, State of Colorado, hereinafter referred to as the Restricted Areas. The Restricted Areas are depicted and shown on the attached maps hereby incorporated into this Order as Exhibits A, B and C. The Restricted Areas are further described in the attached tables, also hereby incorporated into this Order as Tables A, B and C.
This purpose of this Order is to protect natural resources and provide for public health and safety. Refer to https://www.fs.usda.gov/alerts/psicc/alerts-notices/?aid=47194 for further details, though this covers all the information. This entry was posted in FOMP, shooting on August 26, 2018 by gram.